A high-level Bahrain business delegation, led by the Startup Bahrain initiative - Bahrain Economic Development Board (EDB), Tamkeen (Labour Fund), Ministry of Industry Commerce and Tourism, are currently attending the RISE Hong Kong Summit, in China. 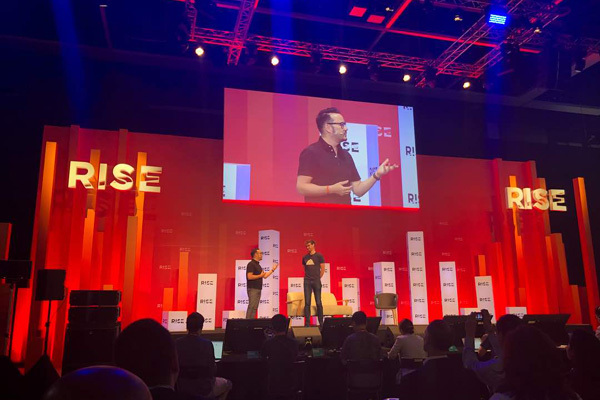 The summit, a leading business and entrepreneurship event in Asia, which opened on July 9 and will run until July 12, also saw the attendance of startup accelerators Brinc and C5 and the Nest. As part of Bahrain’s participation at the summit, the delegation showcased the kingdom’s experience in providing a fertile, supportive environment that empowers start-ups and stimulates their growth, said a statement. In addition, a special pavilion was devoted to shed light on Bahrain’s ecosystem. Over 350 speakers from the world’s largest companies, including Microsoft and Amazon, as well as start-ups from around the world, showcased their expertise at the conference, which is expected to bring together 15,000 entrepreneurs from over 100 countries, it said. “StartupBahrain in cooperation with Tamkeen, continues to play a pivotal role in highlighting local startup success stories by sponsoring five Bahraini Startup founders to attend the conference with the objective of growing their businesses,” he said. “While in Hong Kong the delegation will take part in two other events, the first is organised by startup accelerator Brinc and the second one is by Metta’s members’ club which is organised by Nest, a Hong Kong based corporate accelerator,” he added. Tamkeen’s chief operations officer Qusay Al Arayedh stressed the importance of the Bahraini startups in this Summit as part of the participating Bahraini delegation. “To ensure maximum exposure during this event, Tamkeen supported the participation of five startups, selected by a committee of specialists in the field of Information Technology and Communication,” he added. StartupBahrain is a community initiative made up of startups, corporates, investors, incubators, educational institutions and the Bahrain government to promote startup culture in Bahrain. Efforts are being made on six pillars (community, incubators and accelerators, funding, talent, corporate and policy and regulation) to make Bahrain a great place to startup and scale companies regionally and globally.